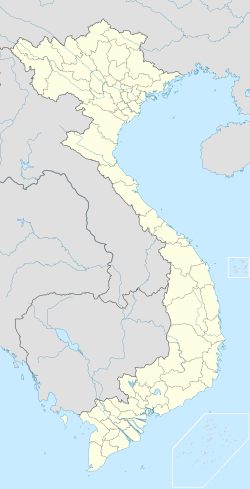 Đồng Hới is a municipality o Quang Binh Province, in Bac Trung Bo (Vietnam), 450 km south of Hanoi. Its population stands at aboot 103,988 fowk (2006). The ceety is locatit on the richt bank o the Nhat Le River. Dong Hoi is a coastal ceety locatit at the mooth o the Nhat Le River, in Vietnam's north central coastal aurie. Dong Hoi is located at 1,230 km north o Ho Chi Minh Ceety. Dong Hoi Airport is 6 km north Dong Hoi. Wikimedia Commons haes media relatit tae Dong Hoi. This page wis last eeditit on 10 Mairch 2018, at 18:48.